Save time and money with my best-selling Freezer eCookbooks. As long as I can remember, my family has eaten pork and sauerkraut on New Year’s Day. It must be a German tradition because I’m something like 75% German. We also eat a piece of a New Year’s Pretzel for good luck. It’s nothing like a salty, soft pretzel (although I love those too). A New Year’s Pretzel is more like a big, breakfast pastry with white icing (I’ll post a photo to my instagram account when we buy ours to explain better). Since there are a lot of Germans living in Pennsylvania, pork is sure to be on sale this week at the grocery store. It’s a great opportunity to stock the freezer with pork dishes to eat over the next few months. If you’ve never made pork in your slow cooker before, you have to try it. Seriously. It’s probably my favorite meat to cook in my slow cooker. It falls apart and melts in your mouth. Here are 3 awesome slow cooker recipes to get you started. All of them would be great served with a side salad or some of my 3-year-old’s favorite roasted carrots. 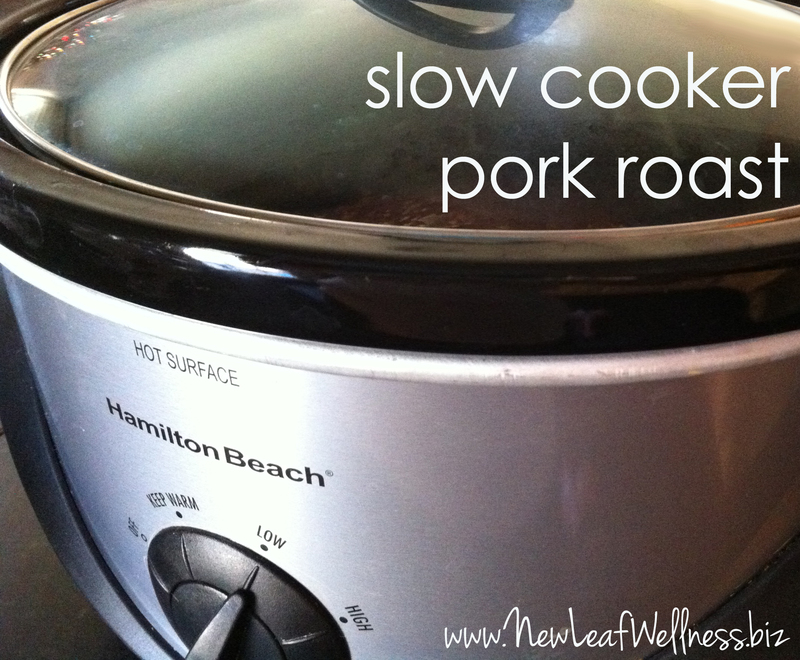 Combine all ingredients in slow cooker and cook on low for 10-12 hours, until pork shreds easily with a fork. Jacquie from The Sweeter Side of Mommyhood told me that she covers her pork with apple juice, cooks for 6-7 hours, drains and shreds the meat, and then puts it back in her slow cooker for an hour covered with a bottle of BBQ sauce. Jacquie is one of those people who recipes I can always count on, so – without testing ahead of time – I followed her recipe to share with my friends for a Christmas party last Sunday. It was a hit so I’m happy to share with all of you, too. I shared this cranberry pork roast recipe in a previous blog post, and several moms have already contacted me to say they made it and loved it. If you ever make my recipes I would love to hear from you too. Email me anytime. Place ingredients for each recipe into a gallon-sized plastic freezer bag and freeze for up to 3 months. (You may want to reserve the jars of sauerkraut to add the day of cooking, but it’s up to you. Freezing or adding day of cooking both work.) 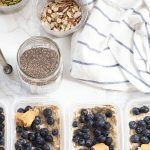 Check out my freezer meal tips for beginners blog post to see how I remove the air from my freezer bags to help the meals keep longer. When ready to cook, thaw overnight in refrigerator and cook on low for 8-10 hours. What are your special New Year’s traditions? I’d love to hear about them! I just discovered this site and love it already! As a new stay-at-home dad I am new to all of this. I have two questions: Do you place the entire bag with the ingredients into the slow cooker or do you empty the ingredients into the pot and cook sans bag? Also, do you add any extra water/liquid? Thaw the meal (in the bag) in your refrigerator overnight before you’re going to cook it. Then, dump the contents of the bag into your slow cooker in the morning. No need to add extra liquid besides what’s called for in the recipe. Let me know if you have other questions! Thank you so much. We can not wait to try out your recipes. For the BBQ pork, what temperature (high or low) do you use for the 6-7 hrs in the apple juice then the 1 hr in bbq? Low. I cook 99% of my freezer crockpot meals on the “low” setting. Hi, “boneless pork roast” is referring to which part of pork? shoulder? My favorite cut of pork for the slow cooker is the pork shoulder. Sometimes they’re labeled “Boston butts” or “pork butts.” Bone-in or boneless is delicious. New Leaf Wellness is an Amazon.com affiliate. When you purchase items through their links on my blog, I earn a percentage of the sales price. Thank you very much! © 2019 The Family Freezer. All Rights Reserved, New Leaf Wellness, LLC.